CHICAGO (FinalCall.com)Â -Â Mounting the rostrum at Mosque Maryam at the Nation of Islamâ€™s headquarters, the Honorable Minister Louis Farrakhan, with a beaming smile, stood before a packed audience of women, teens and girls, and delivered an insightful and impactful message with the gentle protectiveness and loving firmness of a father, big brother and protector. He spoke on the value and importance of the woman as a co-creator with God who must be respected and protected in the face of injustices and abuses they face globally. The Muslim leader explained the meaning and purpose of the all womenâ€™s class established in the Nation of Islam called the Muslim Girls Training and General Civilization Class (M.G.T and G.C.C.) 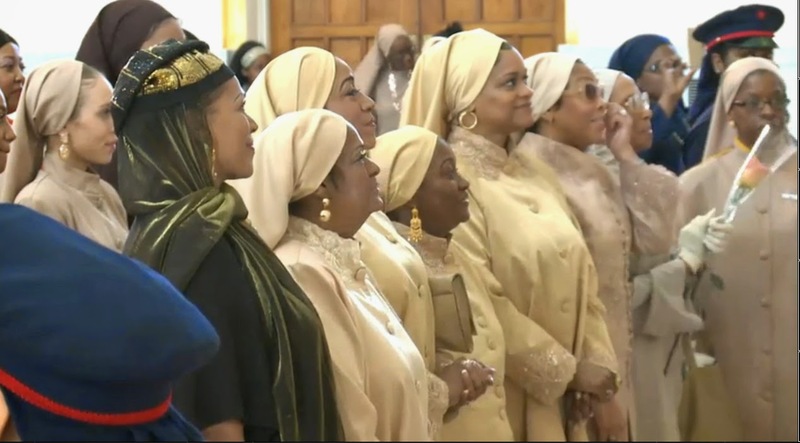 and the value of the teachings of the Honorable Elijah Muhammad in rebuilding, educating and elevating in particular, the Black woman during the â€œSave Our Girls: A Nation Can Rise No Higher Than Its Womanâ€ program April 18 which was broadcast via internet webcast in Nation of Islam mosques and study groups in the U.S., Caribbean, Europe and other countries. 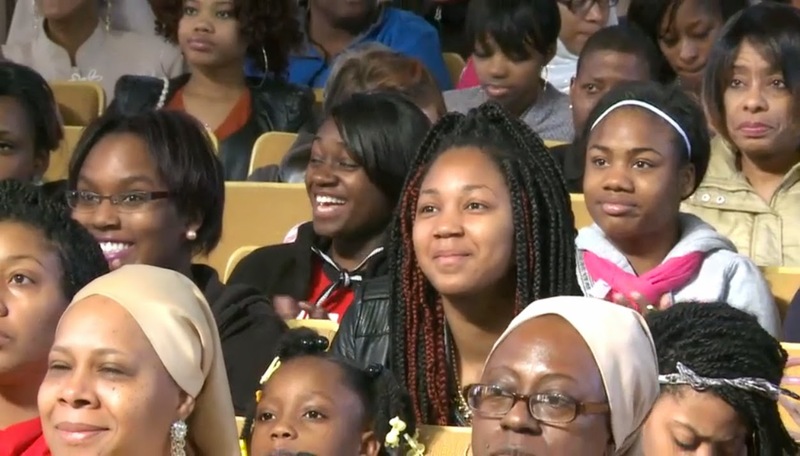 Mosque Maryam was packed and overflow crowds viewed the program next door in the gymnasium at Muhammad University of Islam. Min. Farrakhan thanked Sandy Muhammad, National M.G.T. 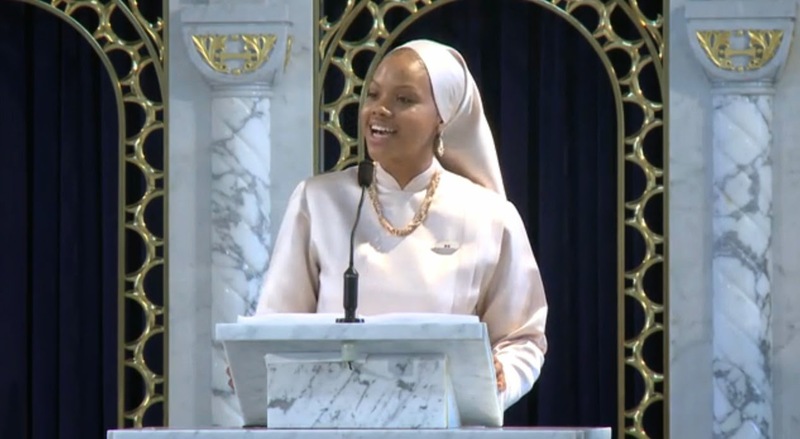 Student Captain of the Nation of Islam, who coordinates and oversees the womenâ€™s class and all of the Chicago presenters who demonstrated on the world stage, the gifts, skills and talents the teachings of the Honorable Elijah Muhammad cultivates within Nation of Islam women through the study and practical application of specifically designed Training Units. The teachings promote spiritual and moral development, intellectual pursuits, proper home and family life, self-love and skills such as sewing, cooking, entrepreneurship,Â and self-defense. 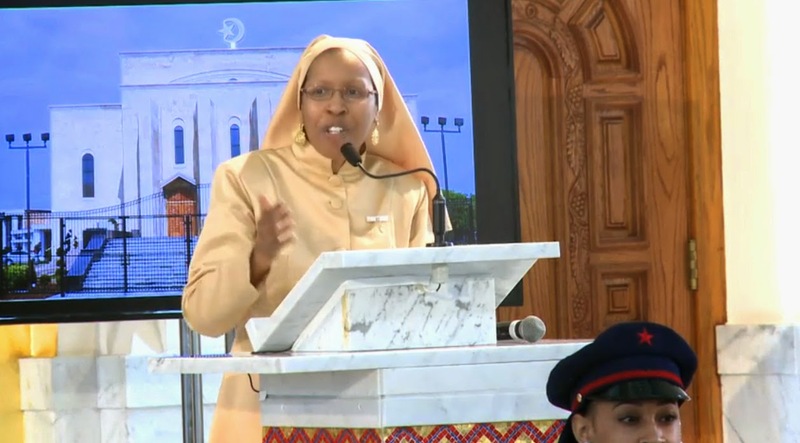 The powerful program at Mosque Maryam showcased each of the units with women teaching about the value and place of women, spiritual values, moral virtues and other important subjects alongside a fashion show, with clothing designed by and created by Muslim women, a military drill exhibition and a martial arts exhibition. â€œSuch a beautiful and seamless program. If I had a vest on, all the buttons on my vest would have been busted by now,â€ he said smiling. The Minister said that watching the two-hour presentations he was overwhelmed and it brought tears to his eyes. Black men wrongfully arrested at a Starbucks in Philadelphia. Support Uncle Bobbies!